Prayer is one important thing that helps us communicate with God. Everyone of us wants to pray! But there is some constraint that doesn’t allow us to pray. Our Mother Shakthi also had the same question in mind. Which mantra or prayer can be recited which is equivalent to Mantras like Vishnu Saharsanama. Lord Shiva, Mahadev had answered her with the below mantra – The Rama Namah! This Rama namah is taken from the Vishnu Saharsanama. He also educated Parvathi that reciting the Rama Namah one time is equivalent to reciting the whole Vishnu Saharsanama stotra one time. In short, Rama Namah = saying 1000 Vishnu names (Vishnu saharsanama). Repeating the Rama Namah during the Bramha muhurtham is very auspicious. 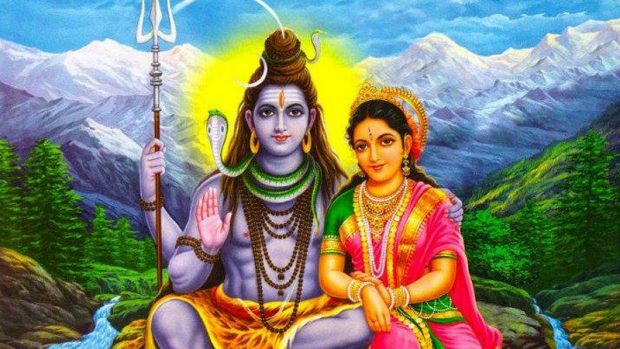 The Rama Namah is considered one stop solution for our day to day problems like protection from foes, financial problems, mental and physical health issues.